Leesburg, Florida – The journey to AS9100 standards began in 2011 when we wrote our QMS Manual as a dual AS9100 and CFR21.137, approved by the FAA. 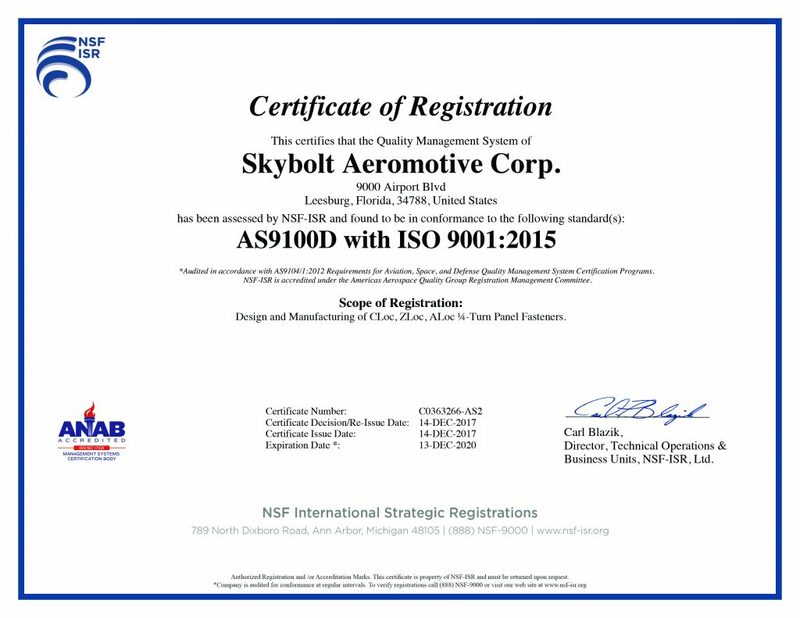 The final step to AS9100 was certification from the International Aerospace Quality Group and NSF International. In 2017, we began a very methodical and focused effort to achieve this certification. The entire Skybolt team played a role in this process. We are proud to also say, this process has improved substantially, our entire quality focused efforts; the ultimate benefit is our customer. Many thanks to our entire Skybolt Team for your efforts, the attention to fine details, and your never-ending team spirit!